Lili (36 years old) worked as Etihad Airways cabin crew for 5 year, always delivering a remarkable service (mainly in Diamond First Class and Pearl Business Class cabins). 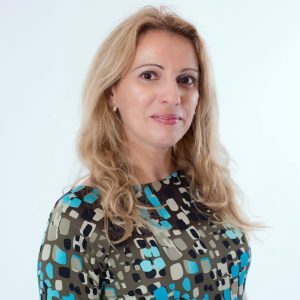 Lili is an enthusiastic, resilient and ambitious professional, having developed an innovative and analytical approach to all tasks and projects undertaken. Within her career with Etihad Airways, Lili was also part of the promotional team during various sponsorship events. She resigned from the company in 2013 when she became a mother. Being so passionate about Aviation and Flying, Lili coaches, motivates and supports her students to follow their dream to the sky. At present, she works as trainer for How to be Cabin Crew, where she guides and motivates our students on their way to becoming flight attendants, empowering them to achieve a high level of knowledge and confidence to successfully pass the interview. Rucsandra has spent more than 28 years among the clouds as commercial & corporate cabin crew. Her professional journey started in 1988 as cabin crew for the Romanian flag carrier – Tarom. Over the years, she reached the purser position, leading and managing a team of cabin crew to consistently deliver an excellent standard of performance. In her cabin crew career, she had the opportunity to work closely to various Presidents and and Heads of Government around the world. Besides her commercial cabin crew career, she worked also as a corporate flight attendant in Asia & Africa. Rucsandra has always maintained a high professional standard all those years and had served Aviation Industry with great zeal, discipline and hard work, carrying her duties with consistency and enthusiasm. During her ongoing career she gave a lot of attention and also got involved personally with the training of future cabin crew and corporate flight attendants. The last few years, she is occupied intensively with matters of corporate aviation, teaching cabin crew on how to make the transition from commercial to private aviation through special Silver Service trainings. Andreea has been working as a flight attendant for Emirates. In just one year worked for the arab company, she has gained the necessary experience to understand its way in life and never abandoned the values that define her. Every time she speaks about her time in Dubai, Andreea is fascinated and states that she has no regrets about her choice to return to Romania, but Dubai will always be in her heart like a second home. Once she left the Golf, many friends and memories remained there, and because of these reason she returnes to the fabulous desert whenever she has the opportunity. 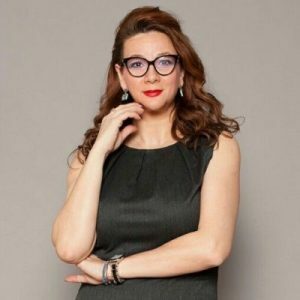 After she graduated the Faculty of Letters from University of Bucharest, romanian-english department, Andreea wanted to change her knowledge direction by choosing to study Comunication and Public Relations at SNSPA Bucharest for her master degree. He has been working since the time of the university as a Specialist in Communication and Public Relations, but the desire to do something new every day was much stronger, and her courage and determination have led her directly to Dubai where the Emirates team have received her with open arms. 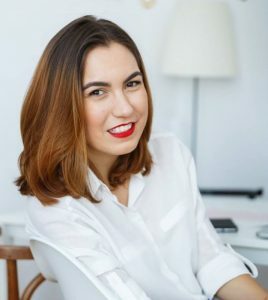 Andreea gave up this job in December 2016 when she decided that the moment to have her own family has arrived, and the flight attendant job would not allow her to do the best things in this direction. She loves to be creative and to spend her quality time by making candy bars, cakes and other sweets for private events and she is also part of the How to be cabin crew team by writing about her experience with Emirates and also by introducing students into the world of Middle East airlines. Aida is an accomplished human resources professional, with more than 18 years experience in the field. Aida is passionate about learning and she constantly seeks opportunities for growth and development. She loves working with ambitious people, who she can help in finding their courage, or just their path in achieving their goals. She has the know-how as well as the experience when it comes to recruiting for national and international airlines; therefore she is the one that can improve your CV and your chances at becoming a flight attendant! She works on on changing mindsets, attitude, and improving your self confidence. With the help of her coaching, you will know yourself better, you wil learn how to overcome emotions and what’s the right attitude in front of a recruiter. Liviu has a significant experience as a fine dining chef, culinary instructor and consultant. He cooks for important corporations and private individuals and advice restaurants looking for a fresh start on their menus. He truly believes that he can change the way people think about food by what he’s serving them at dinner. 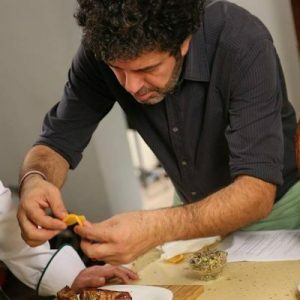 Each day, he develops new recipes, trying to make something different for the people around him. His friends call him “taste creator”. At How to be Cabin Crew, Liviu is a trainer for the Corporate Cabin Crew Training where he will teach you how to plate a dish to attract and please your guests, how to play with creativity and ingredients in order to impress. You’ll learn to make a guest feel special by going above and beyond of what is expected to receive in his dinner plate while travelling in a luxurious private jet. Bogdan is an amazing sommelier, with lots of internationally certifications. Wine and food is a hobby that has become his full time job and his true passion. His inspiration comes from traveling, eating, drinking and working with passion driven people. He refined his knowledge attending wine tasting classes, and graduated with the WSET wine diploma, level 2. He started his wine-journey in Bolgheri more than 10 years ago and at present he works as a wine consultant and sommelier for an important wine producer in Europe. 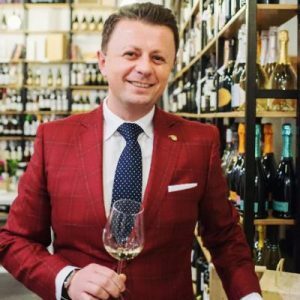 At How to be Cabin Crew, Bogdan is a trainer for the Corporate Cabin Crew Training, where he will teach you the essentials of how wine is made, how to serve wine correctly and how to pair wine with food- ensuring your customers enjoy what they’re drinking. Bogdan will provide the information and resources you need to effectively describe and recommend the right wine and then serve it properly to VIP passengers that choose to travel by private jets. As a journalist, Georgiana was always passionate about the aviation industry. Therefore in 2010 she went to Aviation School and got her cabin crew license. In 2013, Georgiana met Anca and together they created the How to be cabin crew project. Combining her passion for flying and her job as a journalist, Georgiana coordinates our website as an editor and is in charge of organizing the cabin crew preparation courses and special events. 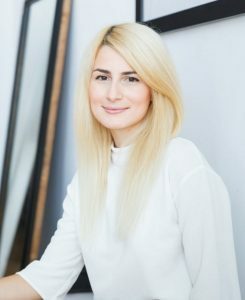 Georgiana takes care of the design of our website, making sure all our readers enjoy their time spent on our platform while reading useful articles about the cabin crew job. With more than 8 years in marketing and communication, Anca is the creative heart behind How to become a Cabin Crew. For the ones who know her, she is the smiling face with many aces up her sleeve, the one that will find a solution to any type of situation. As an aviation trainer, Anca strives to provide the best learning experience for her students and teach them how to be more confident and think outside the box. We are so excited about the How to be cabin crew project which turned out to be extremely popular amongst young professionals who dream of a carrier as flight attendants. Nothing is impossible if you have the right guidance, and this is where we step in. Read more about us. If you have any questions, send us an e-mail. We will be more than happy to answer you!